"The people of Vinh are super friendly and love to say hello to tourists. It sounded like an echo walking down the street as every shop owner and people passing on scooters would yell the only english they know "hello" hello hello hello hello....very funny. We also went to a cool "hot pot" restaurant that had a little conveyor belt passing by in front of you and you would grab the ingredients you wanted. We had an audience because all the staff came out of the back just to watch us eat! The people are friendly and the food is awesome! So far so good in Vietnam!" Vinh - Vinh - is a city in Vietnam and it's the bustling capital of the province of Nghe An. It's situated in the north of Vietnam and and it has about 500,000 people. Vinh is a very modern city with buildings to European ideas with a fairly large sea port. The city is counted to North Vietnam, because the North Vietnamese people considered Vinh as "the gateway to the south". The hamlet of Kim Lien is situated about 15 kilometers north of the city of Vinh. The hamlet is also called "Sen Village". It's the birthplace of "Uncle Ho", or Ho Chi Minh. Here he spent his childhood. His childhood home is now the "Kim Lien Museum". The name of the village means "Golden Lily" and it is now a place of pilgrimage to the Vietnamese people. The village is surrounded by bamboo trees, wells, banyan trees, rice fields and mountains. In 1789 Vinh got its original name. Before that time it was called: Ke Vinh, Vinh Giang, Vinh and Vinh Thi Doanh. But since more than two centuries, it has the name of "Vinh". The city is frequently bombed during te last war by the Americans, therefore there are remained so little historic buildings. Also an old citadel and the harbour were partly destroyed. Through the harbour the Vietcong was supplied with weapons. The main reason people come to Vinh, is to travel to the border with Laos. There are two border crossings, which one can choose. In the southwest via Route 8 are the border towns of Nam Phao and Cau Treo, which goes to Lak Xao in Laos. In the northwest you go via Route 7 to the border towns of Nam Can and Nam Khan and finally you'll arrive in Phonsavan (Laos). Most of the guesthouses and hotels in Vinh you'll find along the road which leads towards Laos. This road changes name three times in less than three kilometers - Quang Trang, Le Loi and Mai Hac De. Most backpackers stay here, because the train and bus stations are located here. We encourage anyone who stays here for a longer time, they start looking for a hotel in the quaint and quiet streets of Vinh, near the Central City Park. The park is centered around a monumental statue of "Uncle Ho", which at night is lit beautifully. In the middle is a lake with an artificial island. There is an amusement park in the Central City Park. There are some great attractions, where you can relax after a busy day. This is also very nice if you are traveling with children. The park is intended for recreation. 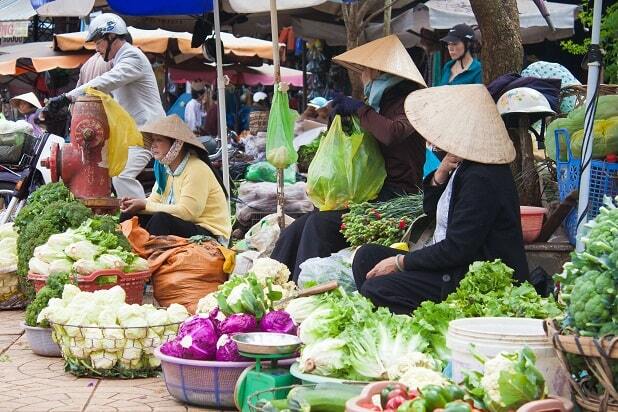 The Vinh market is the largest wet market in the province of Nghe An. 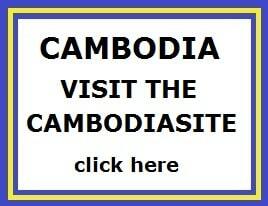 It consists of about 563 vendors, who sell different products, such as peanuts, beans, rice, meat, fish, vegetables, etc. Most fresh products are sold to wholesalers in the Vinh market. Then the wholesalers sell the products to 22 markets around Vinh city, or ambulatory sellers. On the 3rd day of the third lunar month: Holy mother Lieu Hanh's death anniversary. On the 10th day of the third lunar month: King Hungs' death annivasary. On the 20th day of the August lunar month: Saint Tran Hung Dao 's death anniversary. Vinh also has an ancient citadel (a star-shaped reinforcement). The citadel was built in 1804, under the reign of Emperor Gia Long. At that time it was only built of clay. In 1831 was built of stone in the shape of a hexagon, which was influenced by the style of the French architect Vauban. Citadel has 4.8m high wall around a wide and deep moat. 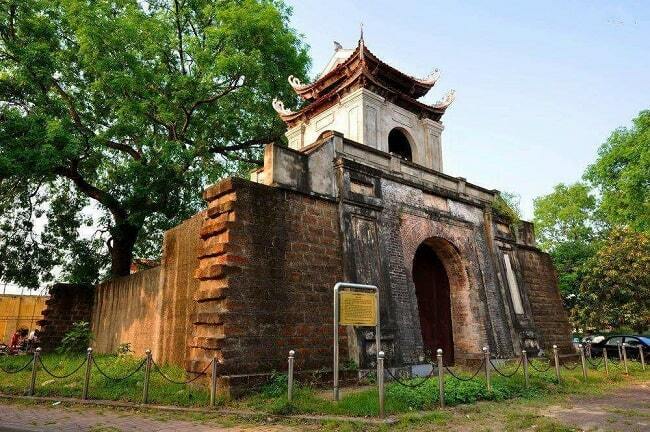 The citadel is located at the gate of Dang Thai Than. 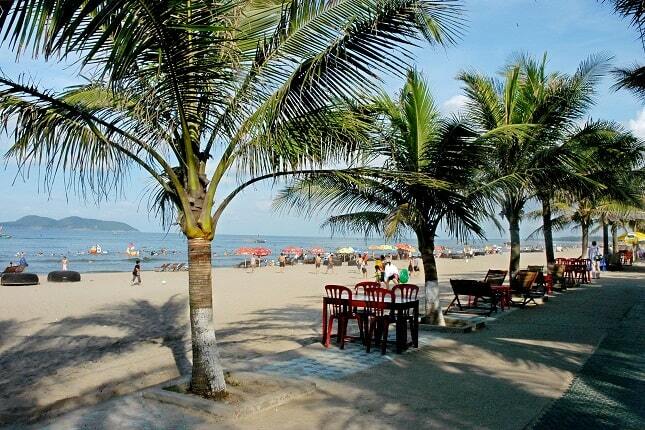 Cua Lo Beach is one of the most beautiful beaches in North Vietnam. It is only 18 km away from the centre of Vinh. Cua Lo Beach is a magnet for almost all domestic tourists from the north. This 10 kilometres long beach is famous for its white sand and blue water, surrounded by a beautiful pine forest and coconut trees. And at the beach are restaurants where you can try the seafood, such as shrimp, crabs and squid. Cua Lo is also known for the surrounding islands. Not far from the coast are three beautiful islands: Hon Ngu, Hon Chu and Hon Mat. These islands are not only striking, but they also serve to protect Cua Lo Beach against storms and strong ocean winds. You can also visit the islands. 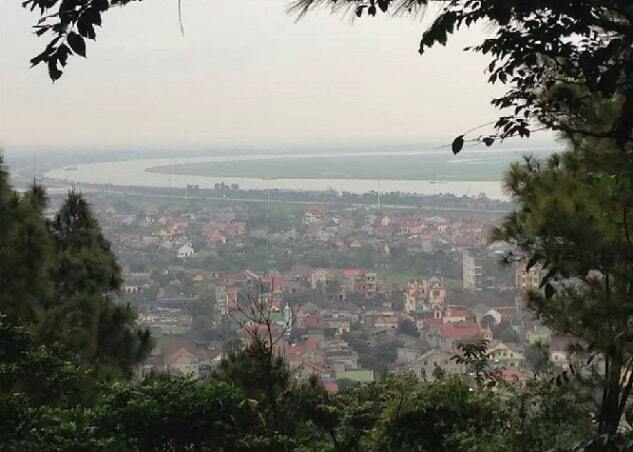 Five kilometres from Vinh City to the south is the Dung Quyet Mountain. Here you will find the King Quang Trung Temple, where it honours a national hero. The temple and the mountain are used as a resting place outside the bustling city. It is also considered the home of four supernatural beings; the dragon, unicorn, tortoise and phoenix. Visitors should take 400 steps to reach the top. The view from the mountain and temple is spectacular. You look out over Vinh and surrounding area. The temple is strikingly amid the endless line pines and the vast Lam river below you. Visitors burn incense in the temple to pray for good luck. Vinh is more focused on Vietnamese tourists, who visit Kiem Lien and Cua Lo Beach, but if you're coming from the West and are interested in the area of Vinh, can book excursions in town. However, they go beyond the beach of Cua Lo. Some are going 100km from Vinh. You can visit among other things, the Pu Mat National Park, the caves of Quy Chau or Que Phong district.